St John is a London institution. Founded 20 years ago, these guys pioneered the whole Nose-to-Tail cooking, a philosophy I thoroughly agree with (though don’t practice as often as I’d like). Here you can get heart, tongue, steak- whatever- all cooked in incredibly simple and delicious ways. It is all about worshipping the animal at St John- and as it was the Pal’s birthday this week, it somehow seemed fitting. I had never been to St John before, and I will admit the menu can be a little intimidating. It changes daily, so I really had no idea what to expect. Would it be nothing but pig brains? Turns out there was nothing to worry about. Not a brain in site on the menu- though there were tongues, hearts, and cheeks. And it was all rather good. 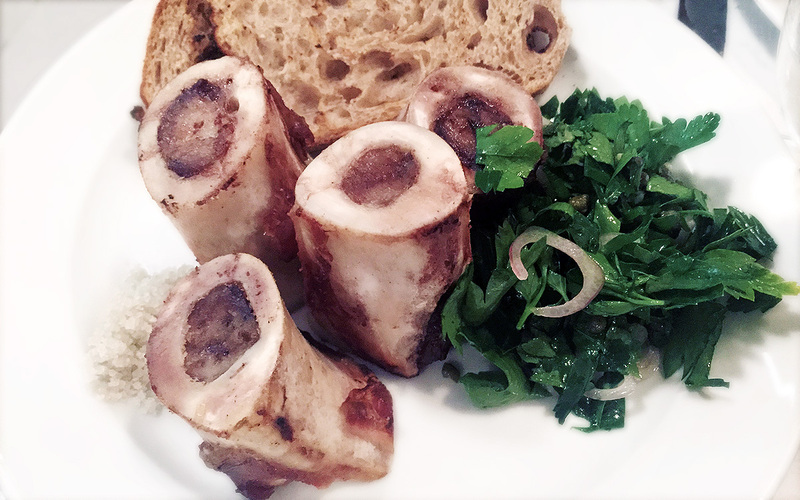 The pal and I shared some marrow on toast with a parsley salad- the only regret there being that there is very little of the delicious fatty goodness inside those big bones. For mains I had a delicious pig’s cheek and dandelion dish, and the Pal had braised pig tongue. I’m not going to pretend I liked the tongue when i tried it, but the Pal did and that’s all that matters. Dessert was an incredibly rich chocolate and pistachio terrine; the gastronomic equivalent of being slapped in the face by 1970’s icon Divine, but in a good way. 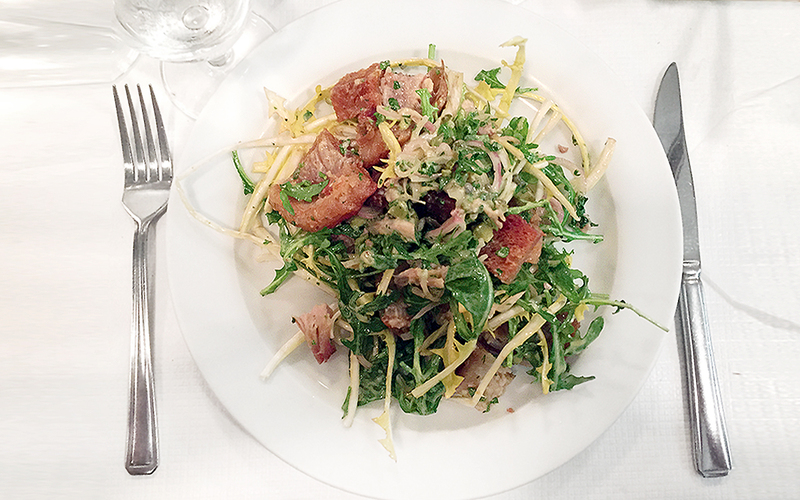 St John is a great bet for those looking for an exciting and delicious meal. It isn’t cheap, but it’s not outrageous either, and the staff are incredibly friendly and helpful. I guess it wasn’t for nothing that I called them a London Institution up at the top. Next time in London, I’ll try this one.